Edible flowers have been graciously decorating cakes for years, most notably there are specialist groups that amplify this unique style, such as the British Sugarcraft Guild. 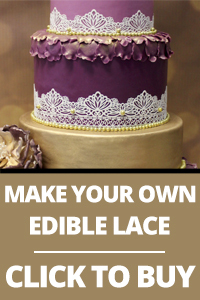 Many say that making sugar flowers is a fine art and as such takes years to master, now though, thanks to a unique combination of silicone and stainless steel, cake decorators of any skill level can make even the most difficult of flowers with ease. 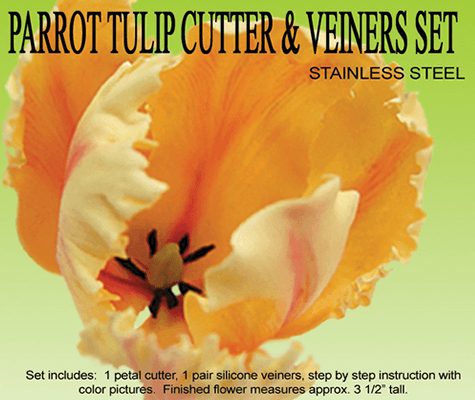 This handy little set comes with 4 stainless steel petal cutters, 1 set of food grade silicone veiners and instructions. Finished flower would measure approx. : 4″ diameter (10.2cm). 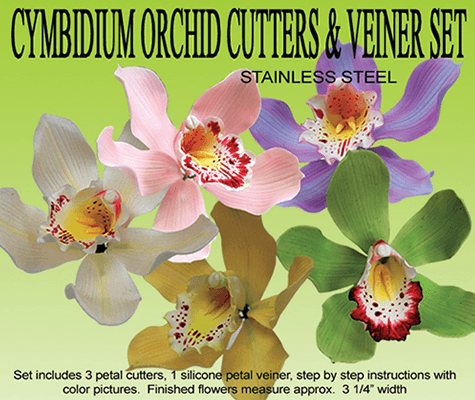 A beautiful flower often referred to as ‘moth orchid’ it doesn’t need to be the work of an advanced sugar artist, this set comes with: 3 stainless steel cutters, food grade silicone veiner and instructions. Finished flower would measure approx. : 3 1/4″ Width (8.26cm). Petal crafts also offer an online tutorial to make this flower on their Facebook page – HERE. A flourishing beauty, dust with red and blues petal dust for an authentic, lifelike look. 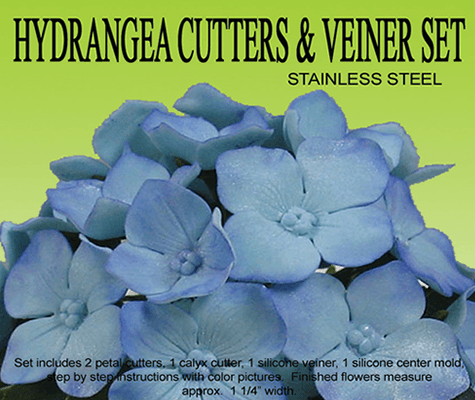 This set includes 2 stainless steel petal cutters, 1x stainless steel sepal cutter, good grade petal veiner and silicone centre mould, including instructions. Finished flower would measure approx. : 1 1/2″ Width (4cm). A favourite in many gardens, the Parrot Tulip can take on many colours and pattern combinations. 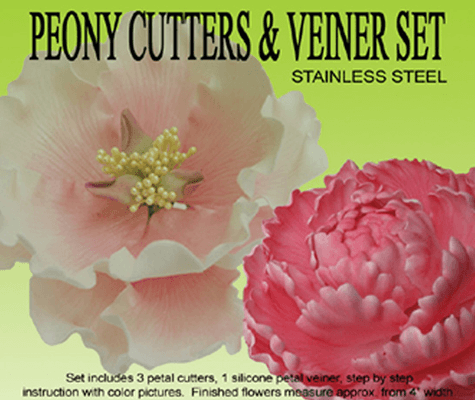 This set includes 1 stainless steel petal cutter, 1 pair of silicone petal veiners and step-by-step instructions. Finished flower would measure approx. : 3 1/4″ Length (8.3cm). This type of flower is a large genus of over 600 species of plants in the Ranunculaceae, simply put, it’s one of the most common. 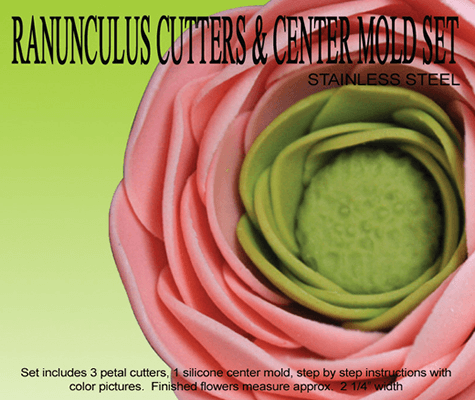 This set includes 3 stainless steel cutters and 1 silicone centre mould with step-by-step instructions. Finished flower would measure approx 3″ diameter (7.6cm).